Adding Images is a simple process with our Drag & Drop Editor. You can add your own images or use images taken from Nifty Images. 1. 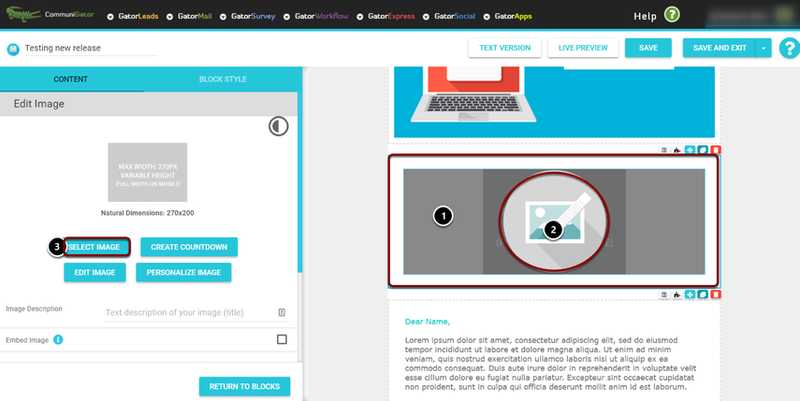 Drag the image block into the space on your email where you would like it placed. 2. Select the pencil icon in the block to bring up the Image Editor on the left hand side. 3. Click 'Select Image'. This will bring up the file opener. 4. You can either search for the image name in the toolbar or select straight from the screen. 5. This shows you the number of images you have in a certain folder. 6. 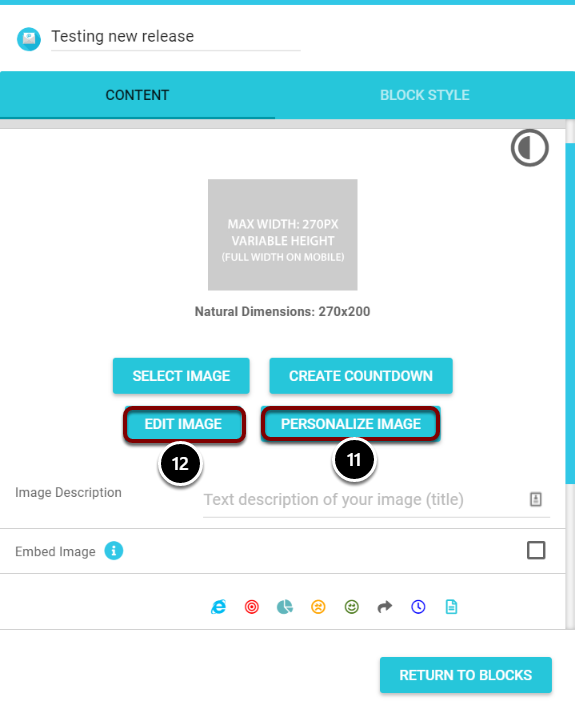 This allows you to select how many images you want to view on each row in the main image screen. 7. Here are all the folders you have. You can expand them by clicking on the folder name. 8. This is a preview of the image you have selected from your folder. You can edit it before adding it in by clicking the 'Edit' button. 9. If the image you want has not been uploaded yet, select the button 'Upload'. This will open your file explorer where you can select the image. Give it a name and click the 'Select' button. 10. Select this button to create a new folder. 11. To personalise the image or use a stock image select the 'Personalize Image' button. 12. To edit the image e.g. resizing it, select the button 'Edit Image'.